Culver City, CA (March 27, 2011) - Breaking Bad's most shocking and explosive season yet arrives on Blu-ray(TM) and DVD June 5th, as Sony Pictures Home Entertainment releases Breaking Bad: The Complete Fourth Season . Chemistry teacher Walter White's dark transformation to full-blown criminal reaches lethal new heights as his battle of wits with vicious drug kingpin Gus Fring (Giancarlo Esposito, TV's "Once Upon a Time") continues. Bryan Cranston, winner of three Best Actor Emmys(R) for his role as Walt, stars alongside Aaron Paul, Emmy(R) winner (Best Supporting Actor) for his portrayal of Walt's colleague, Jesse, in this critically acclaimed dramatic series. Voted by the Writer's Guild of America as 2012's Best Drama Series, Breaking Bad also stars Anna Gunn (TV's "Deadwood"), Dean Norris (TV's "CSI: Crime Scene Investigation"), Betsy Brandt (TV's "Back When We Were Grownups"), and RJ Mitte. 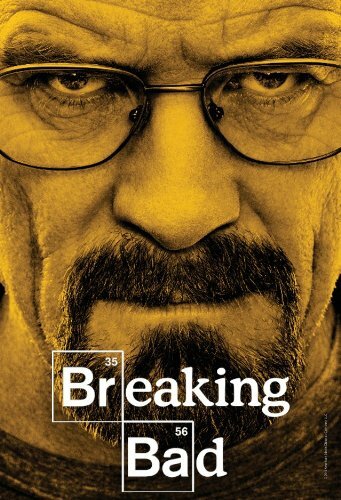 Breaking Bad: The Complete Fourth Season contains all 13 episodes, in addition to more than 13 hours of addicting special features including uncensored episodes, deleted scenes, cast and crew commentaries on all 13 episodes, a gag reel, 30 featurettes, and much more! Breaking Bad was created by writer/director/producer Vince Gilligan (TV's "The X-Files"), who also serves as executive producer with Academy Award(R) winner Mark Johnson (Rain Man, 1988's Best Picture) and Michelle MacLaren (TV's "The X-Files"). The series is produced by: co-executive producers Melissa Bernstein and Sam Catlin (TV's "Canterbury's Law"); supervising producers George Mastras (TV's "The Dresden Files"), Peter Gould (TV's "Too Big To Fail") and Thomas Schnauz (TV's "The X-Files"); and producers Bryan Cranston, Diane Mercer (TV's "Arrested Development"), Moira Walley-Beckett (TV's "Pan Am") and Stewart A. Lyons (TV's "Everybody Loves Raymond"). Breaking Bad: The Complete Fourth Season is not rated. The Blu-ray(TM) and DVD have a run time of approximately 610 minutes.